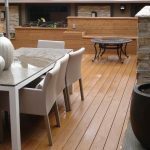 Top Decking Trends | Mountain View Sun Decks Ltd.
Ready to give your outdoor living area a whole new feel? 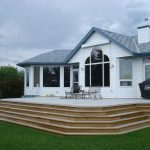 A beautiful, well designed and unique decking installation might be just what you need. These new decking design trends are sure to take your outdoor space from okay to extraordinary, providing you enjoyment now and for years ahead. Wooden decks may have something traditional about them, something that reminds us of glorious times past, but composite and vinyl decks are here to stay. Despite their numerous advantages over wooden decks – easy to clean, low maintenance, easily customizable, etc. – they have been greeted with skepticism for a while now. With Redwood and Cedar materials becoming increasingly more expensive, eyes have turned to composite deck materials. Besides the earlier stated advantages, composite decks boast longer lifespans (25 years) than their wood counterpart (10 years) and the materials are environmentally friendly. Patterned decks are a thing now because of their ability to give your outdoor space a unique and distinct feel. Patterned decks – such as herringbone and parquet – are great for mapping out an area and making it pop. Speaking of patterns, a new trend is emerging where deck floors are broken into 3×3 or 4×4 foot boxes. This accentuates your deck, making it stand out, and allowing it to match the patterns of a patio or rooftop space. Much like patterns, composite decks allow you to play around with colors, mixing them to great effect. You can play with different tones of the same color, achieving a beautiful look that is fun and easy on the eyes. While traditional wooden decks would require a lot of work to achieve this, individually staining and painting each wood piece, you simply have to select your preferred colors and match them as desired. Top level polymer materials used to make composites have made the possibility of curved decks a reality. Getting a curved deck design is now easier than ever. While this has been possible with traditional decks, it is an extremely tedious, expensive, and time consuming process. With curved decks made easier, you can now accentuate existing round features in your outdoor environment. Ever imagine having a deck that perfectly combines different materials in one smooth installation? 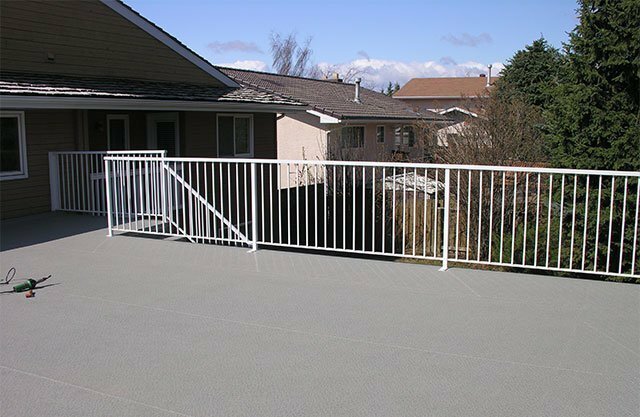 Imagine your composite polymer decks complemented by beautiful aluminum balusters that have glass post caps. Such beautiful mixtures when properly installed gives a truly unique and exciting feel to your outdoor living area. You can also customize as much as you can dream with mixtures of different textures, colours, and designs. Ready to play around with your deck designs? Multi-colored decks, curved, patterned, or mixed decks – there is now more room for customization and personalization of your decks than ever before. Contact the custom deck experts at Mountain View Sun Decks today to get your custom deck project started.